Are you looking for Swish casinos? Here you will find all the information you need about this casino payment method and the best online casinos where you can find it. 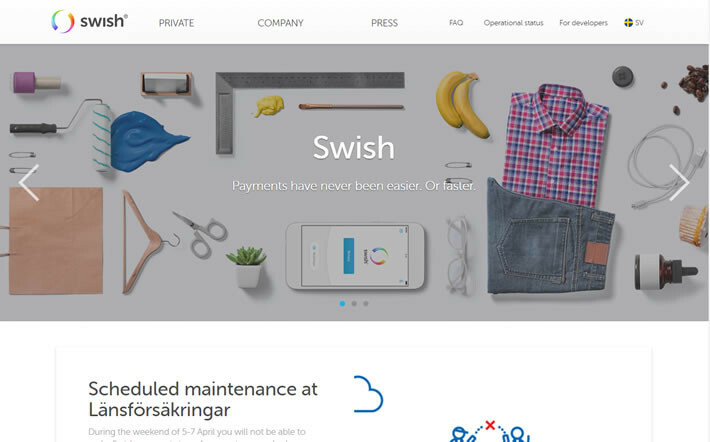 Swish is a mobile payment system for residents of Sweden. The system allows Swedes to make payments to a wide variety of vendors, including online casinos, through their mobile phone and Swedish bank account. The Swish system is safe and secure and allows online casino players to fund their accounts instantly. Both you and the casino will receive confirmation of payment within just a few seconds. With so many Swedish players playing from their smartphones, the Swish payment method makes things particularly convenient. Players who would like to use the Swish payment system will need to download the Swish app as well as another app called Mobilt BankID Säkerhetsapp which provides a form of electronic identification issued by one of the Swedish banks that participates in the system. The second app is, of course, to provide an extra layer of security. A prerequisite for enrolling in the system is that the user has a bank account at one of the participating banks and a Swedish national ID number. The Swish service was originally launched in 2012 but has grown to become more useful and accessible in the last several years. There is also a web-based version of the system and some payments can even be made by simply scanning a QR code. When Swedish laws were enacted in 2018 that opened the doors for legal and regulated online gambling, Swish became one of the easiest and most convenient ways for Swedish people to fund an online casino account — no matter where they might be. Creating a Swish account is relatively simple. With a bank account at a participating bank, you can register for Swish wherever you would normally manage your online banking. When you register, you’ll be asked to provide your mobile number to have it linked to your bank account. Once that is done, all you’ll need to do is download and install the Swish app from your device’s app store and follow the instructions to send money. The main advantage of using Swish is that players can fund their accounts from a mobile device and from any location where they might be at the moment they want to play. The Swish payment process is quick and easy to use. For novice players, it is an especially friendly way to fund their account that will let them do so easily and without the need to enter any credit card or bank account information. The Swish payment system is free for users. Not only are all transaction fees paid by the casino, but they are also prohibited from passing those fees on to their customers. Very few payment systems can guarantee this type of freedom from fees for their users. Swish is not open to the general public at large. If you wish to use the Swish system as a method to fund your online casino account, you must have an account at one of the participating banks. As of early 2019, the Swish payment system does not support withdrawals from casino accounts. If you wish to use this payment method to fund your account, you will need to have an alternative method available for withdrawals, which could come with significantly longer processing times. The number of casinos that accept Swish as a payment option is still relatively small when compared to some other payment processors which have been working with online casinos for longer periods of time. For now, your choices as to where you can play might be somewhat limited if you want to play at a casino that will let your fund your account through Swish.